We all live with varying levels of health and ill health. Our mental health is just as significant to our daily functioning as our physical health. Mental health includes our emotional, psychological, and social well-being. It can affect how we think, feel, and act. Mental health is important at every stage of life, from childhood and adolescence through adulthood and older age. Good mental health is more than the absence of a mental health problem. It is about getting the most out of life whenever possible. People can and do recover from even the most serious mental health problems. Recovery means being able to live a good life, as defined by the person, with or without symptoms. Positive mental health allows people to reach their full potential, cope with the ups and downs in life and make meaningful contributions to their communities. Learn more about the facts of mental ill health and related issues. Challenge our own and other’s negative attitudes and stigma. Become more aware of local sources of help and support. 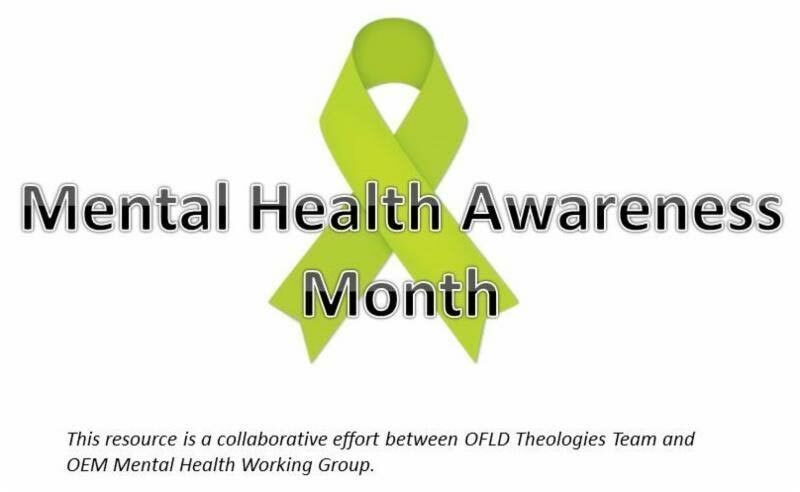 We hope that this Holy Conversation focusing on Mental Health will be a useful tool in helping your church community learn from each other and gain a deeper understanding of the issues raised.